Balayya’s energy needs no introduction. Whether it’s an action sequence or a lengthy dialogue, once the camera gets rolling, then there is no stopping the star. He has proved it time and again, and his recent films like Simha, Legend and Gautamiputra Satakarni took this to another level. Interestingly, his energy was a big pillar of strength for the whole team of Paisa Vasool. While there is plenty of excitement about the star working with Puri Jagannadh for the first time, Balakrishna’s energy during a song shoot came as a big surprise for his co-star Kyra Dutt. “I think it’s been a while since he has done something this energetic. He is a perfectionist. In fact, I had to struggle a lot to catch up with him,” she said. The actress also added that the whole team was thrilled to see Balakrishna having a blast during the song’s shoot. “My entire look was put together by Charmme,”Kyra revealed. 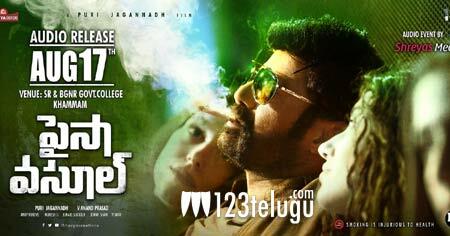 The film stars Balakrishna, Shriya, Kyra Dutt and Muskaan in lead roles. Paisa Vasool is slated for release on September 1.